Using this image and some simple css classes, you could easily display the rating how you required. 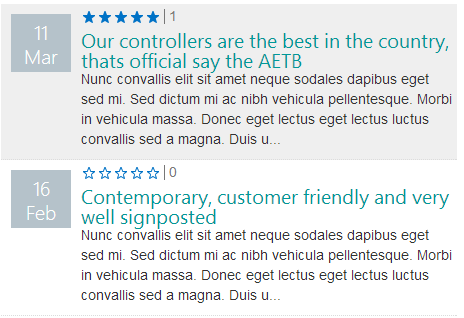 SharePoint 2013 OOTB rating control displays the ratings in different manner, with different images and different HTML making things more interesting for us developers. As you can see, they appear just like they would from the OOTB rating control and give your end users a nicer experience in their display templates. I am the SharePoint Development Lead at ICS Solutions Ltd. As well as broad knowledge in SharePoint 2007, 2010 & 2013 my specialities lie with SharePoint Branding, WebPart Development and JQuery integration. 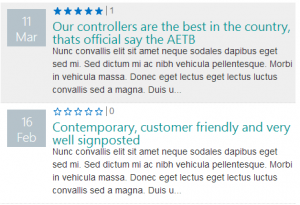 4 Comments on "SharePoint 2013 – Developer Quirks and Tips – Display Rating Stars in the Content By Search WebPart"
Is it possible to make ratings interactive . Right now These are static images showing ratings. Our SP site is our Intranet. We want to display the ratings as well as have them able to rate the document themselves. Is this possible? Where/what is the template so that I can add the managed properties? Thanks very much! Saved me so much time. The implementation is currently static only and there is no plan for me to write an interactive version of this. Thanks for visiting. © 2019 LifeInSHAREPOINT. Powered by WordPress.